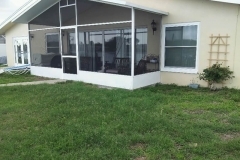 We power wash, scrape, sand, caulk, prime and replace any bad wood or siding. These important steps assure you of a great looking and long lasting exterior paint finish. Our professional painters will match an existing color, or work with you to find just the right shade for your home. Nothing transforms a room or adds curb appeal like a fresh coat of paint. The soffit is the underlay of your exterior and most commonly seen under the roof line, from outdoor living areas such as balconies and patios, and also in porches and decks that are under cover. The fascia is the material that goes above the soffit and serves as a decorative “face” or trim running along the entire roof line of the house. The soffit and fascia on your home is often overlooked. However, it is important that you are not only choosing soffit that can complement the exterior of your home but that you are also installing the right amount of ventilation. 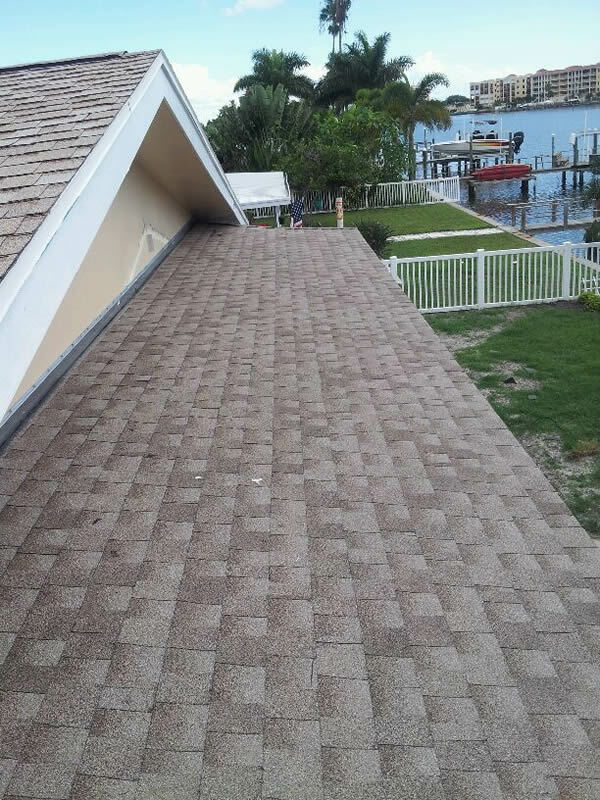 When installed in the right areas soffits allow your roof to breath, maximizing its life and preventing various other roof problems in the future. Bourgoing Construction provide a wide range of soffit and fascia options for new and existing homes and commercial properties. 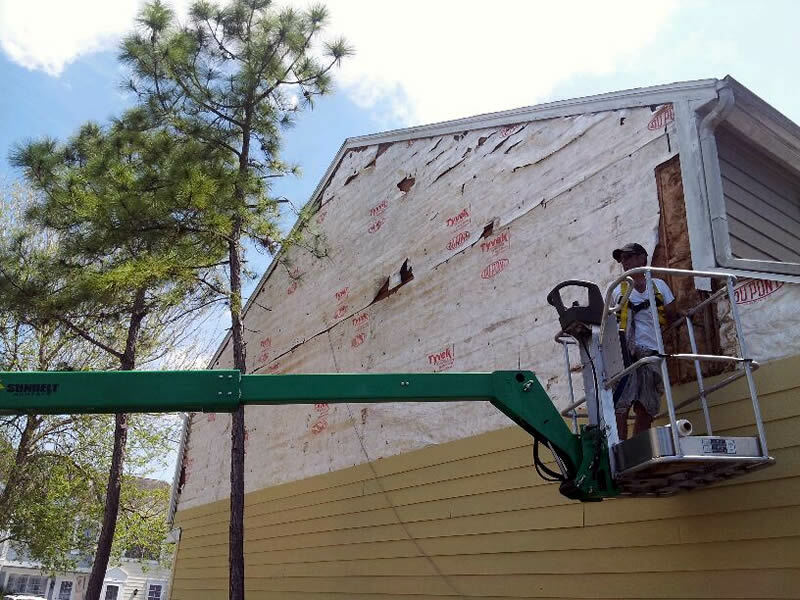 Our expert at Bourgoing Construction can help with the replacement, repair, and new installation of the soffit and fascia. Call us today for an estimate! A popular choice for homeowners since the late 80’s, Vinyl siding provides an economic, maintenance-free product of a uniform color throughout. Homeowners must be careful to research the various products available as there are many different grades. Vinyl siding offers many different accessories that can compliment an otherwise basic job. Because of expansion and contraction, colors will always be light pastel. 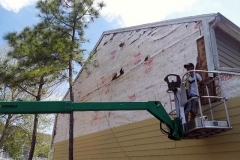 Exterior Design, Inc. always uses the greatest care in installation to ensure the flattest wall. 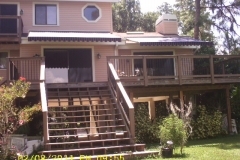 Steel siding offers a premium alternative that can overcome many of the shortfalls of other sidings. Because there is much less expansion than vinyl siding, steel offers flatter walls, less noticeable seams, and is available in light and dark colors. Steel is also available in a wide range of styles. 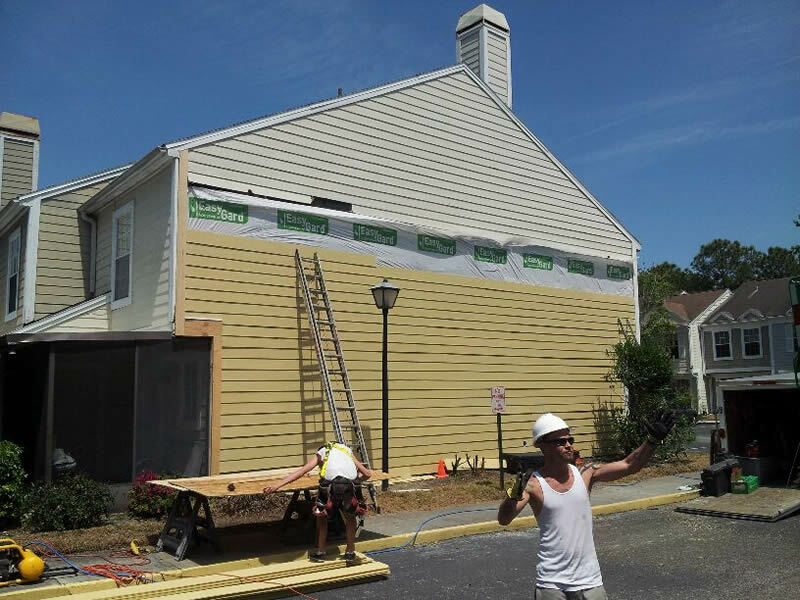 Fiber-cement siding is composed of cement, sand, and cellulose fiber that has been autoclaved (cured with pressurized steam) to increase its strength and dimensional stability. The fiber is added as reinforcement to prevent cracking. 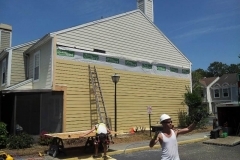 For homeowners that want the look of wood but don’t want the hassles and costs associated with it, fiber-cement siding may be a satisfactory alternative. 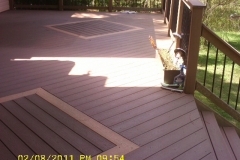 This product is available in a variety of textures that are said to provide the appearance of wood. Fiber-cement siding should be more durable than wood. It is termite-resistant, water-resistant, non-combustible, and warranted to last 50 years. 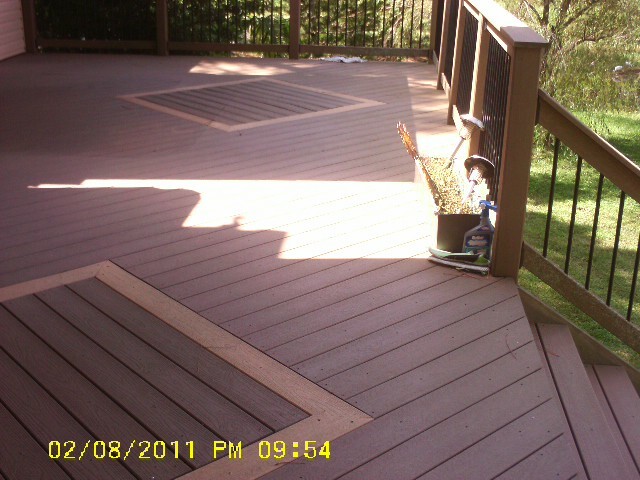 Are you looking to refurbish your old deck or balcony? Would you like to replace it or bring it back to life? 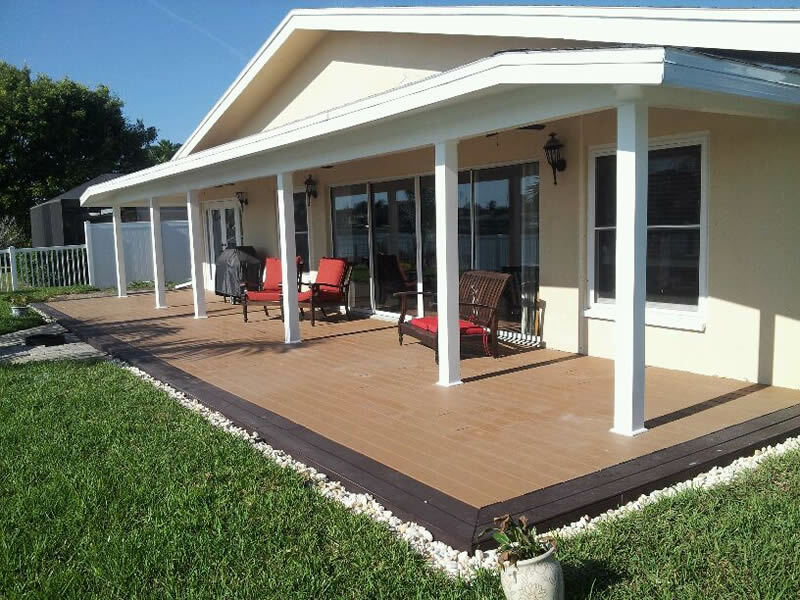 The experts at Bourgoing Construction know how to build you the perfect deck. Our experts will meet with you to understand your needs. 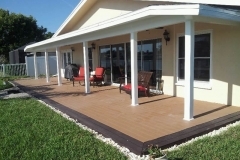 They will then draw up a plan for the new project and then execute the plans paying attention to every detail to ensure your deck or balcony is safe, comfortable and exactly what you imagined. All of our services are customizable to fit your needs and budget. 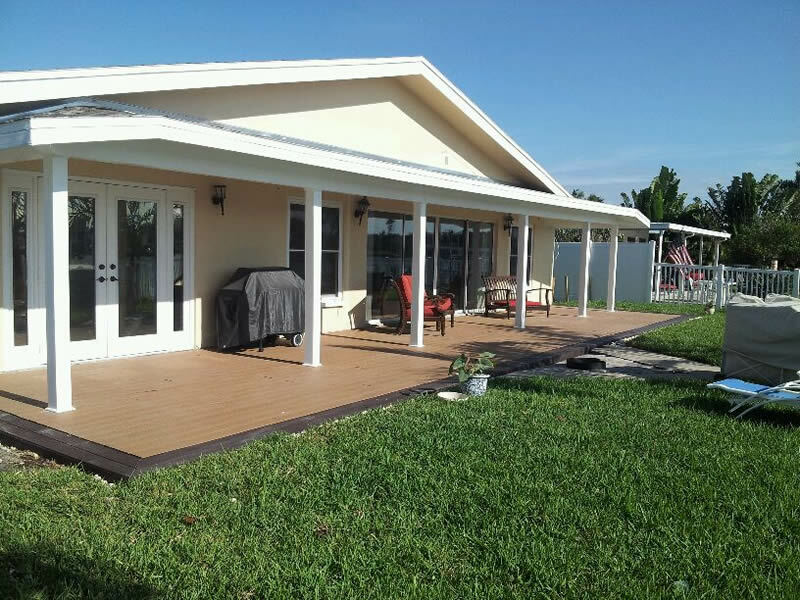 Customer satisfaction is our goal, so we provide you with high quality craftsmanship that is completed on schedule. 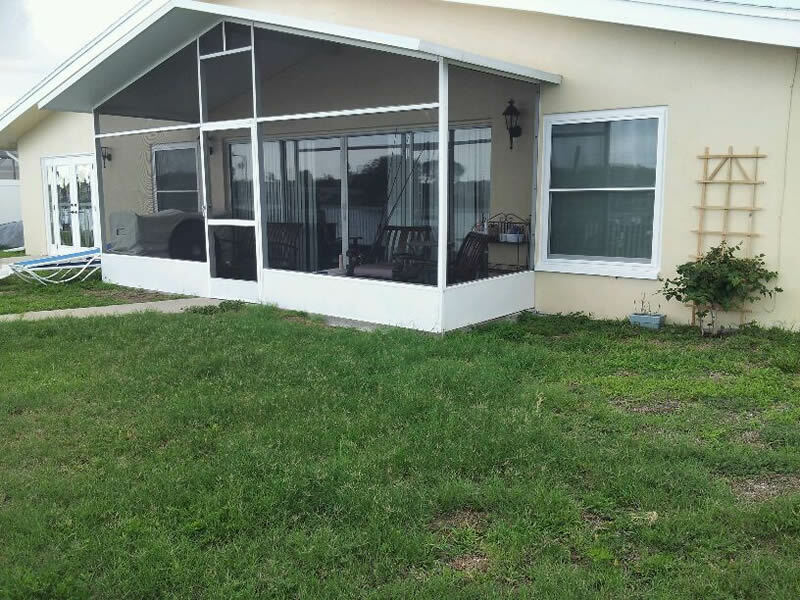 Screen enclosures provide great visibility while protecting the enclosed environment from flying insects in the Tampa Bay area. They are perfect for viewing the outside, watching the kids play, or just enjoying the beauty of the outdoors. 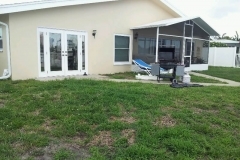 Screen enclosures are breezy and a variety of screen densities can also provide relief from the harsh sun when necessary. 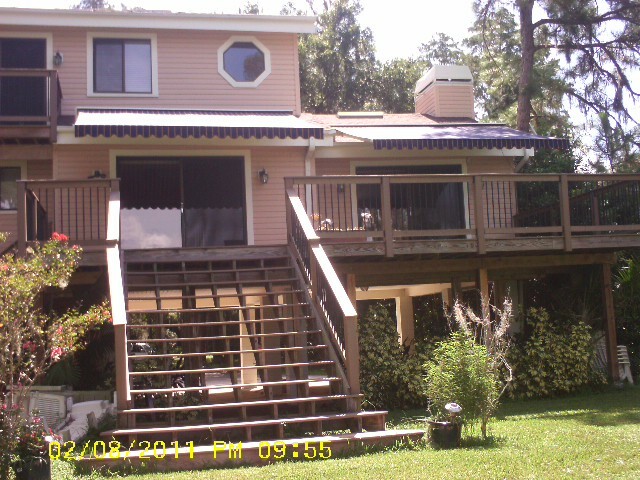 Screen enclosures can be installed under an existing patio cover roof or under a new patio roof system that we supply. 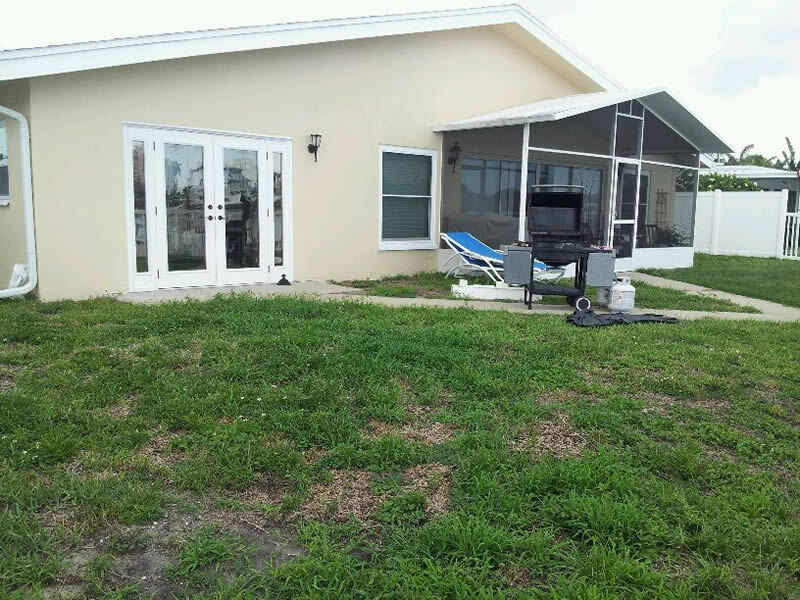 Most screen enclosures allow for the option to transform the screen room to a fully enclosed room with glass windows at a later date for year round backyard enjoyment and additional square footage to your home. We offer several different systems to fit your requirements. Our full screen wall system offers maximum view with screen going all the way to the ground. Optionally, you may add a kick panel at the base of the screen to keep out dirt, grass cuttings, and other debris. A solid base wall can be constructed at any height desired allowing for total flexibility in your design and needs. Our professional estimators (No Salesmen) will take measurements and help you create a custom room design and layout for your family. 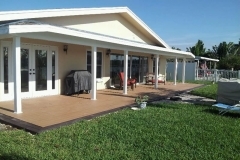 We are here to service your exterior remodeling Largo needs.